The 500ml size is perfect for those who know the wonderful of IL DIVINO Extra Virgin Olive Oil and want to make sure there is plenty for all occasions. 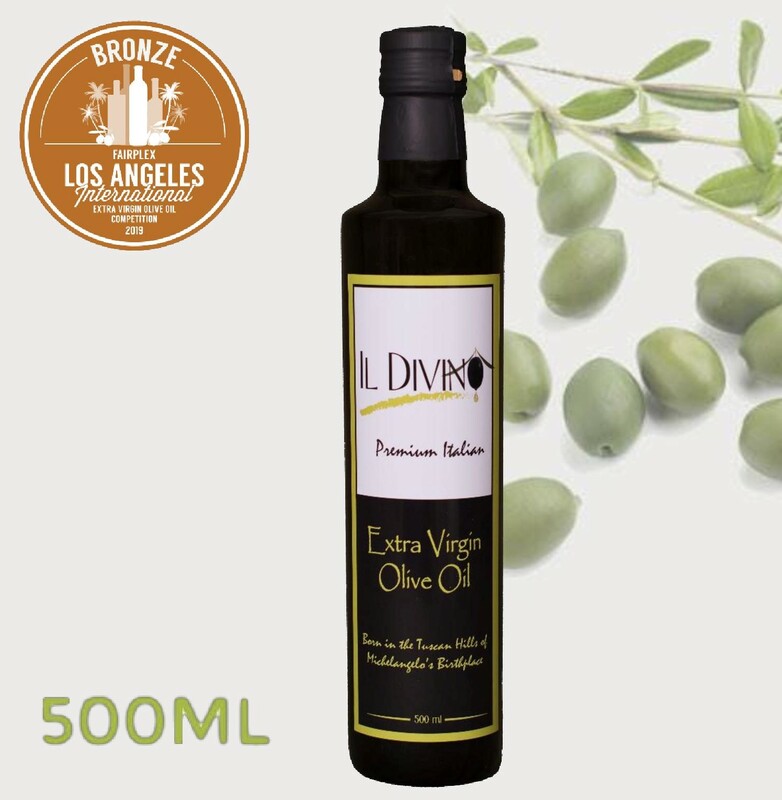 Open your new bottle and begin experiencing the joy of the highest quality 100% Pure Italian Extra Virgin Olive Oil. 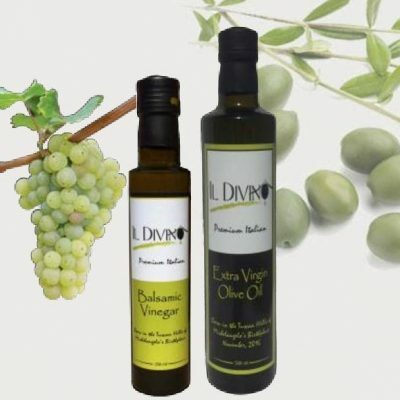 Subscribe to receive a delivery of your fresh IL DIVINO Extra Virgin Olive Oil every 6 months and receive a 10% off the current price and ensure you always have the freshest olive oil. 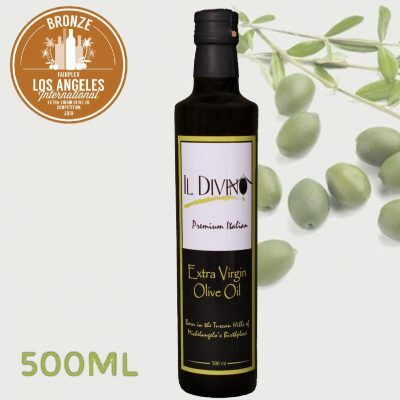 IL DIVINO Extra Virgin Olive Oil is guaranteed to be 100% Extra Virgin Italian Olive Oil. Your Extra Virgin Olive Oil is further guaranteed to be 100% derived from olives organically grown and harvested within the last 12 months from the Tuscany region of Italy. We personally supervise the olive oil production at our Italian frantoio (olive mill) during late October – early November to ensure this amazing oil is delivered fresh to you. 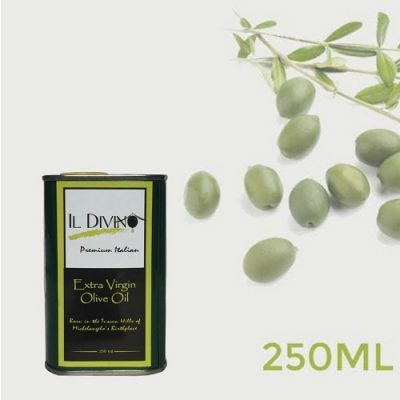 Your IL DIVINO Extra Virgin Olive Oil will be immediately shipped to you every 6 months to ensure you receive the freshest possible product. 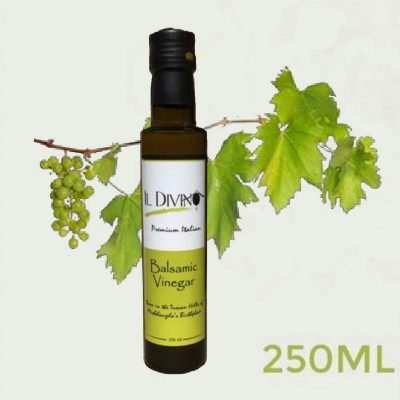 IL DIVINO Extra Virgin Olive Oil is the perfect gift. Friends and family will love receiving this for any special occasion. Opening a package containing this amazing fresh extra virgin olive oil from Italy brings a surprised joy to all. It is the gift that no one expects and everyone absolutely loves.